In my review of last week’s season premiere of The Blacklist, I mentioned that I believed that by the end of this week, Reddington and Keen would be back in the good graces of Ressler and the task force they used to be a part of. Thankfully “Marvin Gerard” proves me wrong, and instead The Blacklist seems headed in an exciting new direction, and it appears that it’s trying to escape the crime-of-the-week pattern and, therefore, the problematic issues of the past. “Marvin Gerard” sure seems like it’s going to start off by reuniting Reddington, Keen and Ressler, then takes a sharp turn away from what it sets up. After running to the Russian embassy for diplomatic immunity after pretending to be a spy, Keen is headed to Moscow for briefing and defection. What she is unaware of is that once Keen gets on the plane, she will be killed, so of course Reddington has to save her from this. “Marvin Gerard” then becomes a much more interesting hostage scenario and escape from the United States. What makes “Marvin Gerard” one of the better episodes of The Blacklist is a paring down of the story. Instead of focusing on cabals and fulcrums and all sorts of other ridiculousness, “Marvin Gerard” is as simple as Keen and Reddington trying to get out of a hostage situation they’ve created for themselves, and off of U.S. soil. There are barely any B-plots here and it feels like that’s how it always should be. The most interesting aspect of The Blacklist has always been the relationship between Keen and Reddington and what exactly it means. “Marvin Gerard” seems like a pushing off into the direction where this relationship becomes the core of the show and that’s a very smart move. About ninety percent of The Blacklist plots are about some crime that will likely never matter again, with about ten percent dedicated to tiny moments between Keen and Reddington. Those numbers should be completely flipped. “Marvin Gerard” does that and once again, it’s what this show should be. The past two seasons have been all about if Keen can trust Reddington and after their escape together, hopefully this constant questioning can finally be put to rest. What we need at this moment is for Keen and Reddington’s relationship to grow stronger so that the answers that have been dangled in front of us can finally come naturally. When Reddington tells Keen in the middle of an unknown ocean that she is his way home, it looks like there’s finally an understanding and love between these two, and hopefully a step towards these answers. 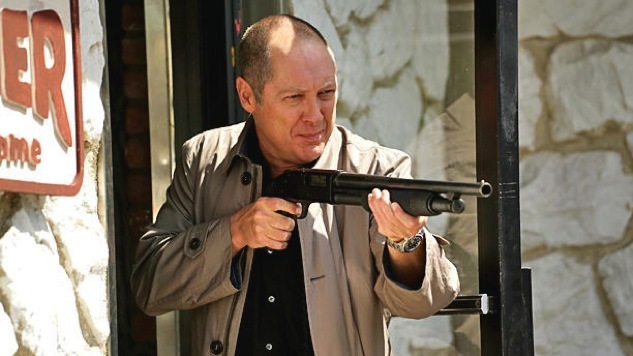 The focus on this relationship gives us a more three-dimensional view of Reddington, filled with the possibility of danger and a deep love for Keen. When Reddington takes a diner hostage, it’s clear to Ressler and the audience that Keen won’t injure any of their captives, but Reddington—well that’s another story. Reddington is at his best when he’s unpredictable. We know that he has his heart in the right place, yet he very well might put the lives of others at risk for a greater good or for the ones he loves. So when Reddington says he’ll kill people if they don’t bring him his lawyer and a transport to an airway, there’s a very real possibility that he’s going to start shooting. Thankfully the eponymous Marvin Gerard isn’t just another way to waste time, but actually becomes a major player in whatever Reddington’s next move is. Gerard, played by Fisher Stevens, is Reddington’s attorney, a shadow council to the criminal underworld. Like Reddington, he has a sympathetic side, since his incarceration was a result of him trying to kidnap his son from his abusive ex-wife. As is hinted, Gerard and Reddington have a plan in which everything will have to go right to get them out of this situation. Surely, it’ll all go as planned, but the journey there at this point at least seems like the most exciting The Blacklist has been in awhile. Even though “Marvin Gerard” does give us Keen and Reddington escaping with Gerard to an unknown location, two small segments near the end hint at reasons why these renegades will return. First, Mr. Solomon is now torturing Dembe by beating him with a sock full of billiard balls. While this Dembe/Solomon plot is dark and has potential, it is quite strange that Dembe hasn’t been by Reddington’s side for once and that Reddington doesn’t at least question where his constant companion has been all this time. Secondly we have, once again, the return of Tom. Sometimes the whole Tom situation works, but most of the time it feels like The Blacklist is not quite ready to leave its past and remind how this show began. We don’t really need Tom at this point and his repeated returns as an end-of-the-episode surprise happens so frequently, it’s almost expected at this point. “Marvin Gerard” gives the impression that The Blacklist is sailing in a new direction, one where the overcomplicating of the past and the weekly crimes aren’t nearly as essential. It’s a smart step for this show to take, but it’s the type of big change we’ve seen before, that usually doesn’t stick. Hopefully this time, this ship won’t turn right back around into the path it’s grown accustomed to.